The sun is out, the day is warming up and the children are running around. Very soon there will be calls for drinks, something cool, quenching and refreshing. So out with the lemons. I try and eat what is in season but lemons for me are an all year rounder. We don’t grow them here and as I could not imagine cooking without them I simply buy and thank the warmer climes where they flourish. Their lemony fragrant zip brings life to so many dishes, sometimes a few drops can literally transform the flavour of food in the way a few crystals of salt can. Lemons are equally at home in savoury and sweet and I rarely go a day without the squeezing of one. With very little work and a brief simmer on the hob you will be in possession of this sharp, tangy sweet cordial. Sometimes I add a chunk of peeled ginger when this is heating, sometimes I don’t and occasionally add a bruised mint leaf or two on serving. We get through masses of this in the summer and it even won me a first at last years Horticultural Show. That aside it is the perfect refresher on a hot day and ideal for a picnic. 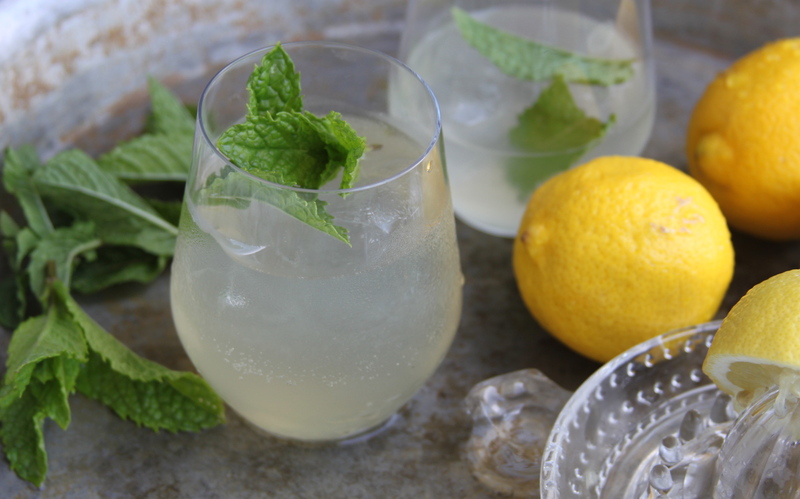 Take the cordial in a small bottle or jar and dilute just before you drink with icy cold sparkling water. Put the sugar, water and lemon peel into a pan and heat. Let it simmer for 10 minutes and then add the lemon juice. Bring back to the boil then take off the heat and leave to cool. Strain into a suitable bottle or jam jar. I dilute this one part cordial to three parts cold sparkling water. Note – lime juice is delicious combined with the lemon juice but I only heat lemon peel, when I tried heating the lime peel it gave the cordial a weird taste. I never used to have a sweet tooth (or should that be teeth) but now I do. Savoury was always more my thing, starters not puddings or crisps, cheese and a glass of wine to be entirely honest – I could make a packet of chocolate buttons last at least a week. Since I have had children however, I adore cakes, chocolates and puddings like never before. My father loved a pud and my son doesn’t think a meal is complete without one so it must be hereditary! These little tarts came about because a) something sweet was required and b) the wherewithal (half a pack of pastry and half a jar of lemon curd) was in the fridge and needed using up. These are as easy or as hard as you want to make them really. With (really good) bought pastry shells or pastry and lemon curd they are fabulous. If you make your own sweet pastry and use some home made lemon curd then they will sing out even further. I am happy to take either route but in truth am more likely to make pastry than lemon curd – you must do as you please. 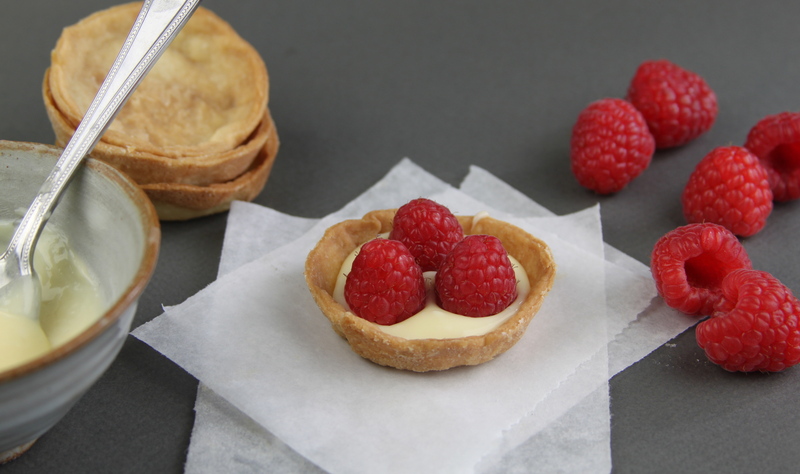 However you get there, sweet crisp pastry filled with a smooth lemon filling and topped neatly or tumbled with raspberries is a thing of beauty. Having made these little ones I also had a go at a larger tart which was just as delicious but somehow it is the baby ones which win my heart. So, a really easy summery pudding and one which I’m sure will garner you many ooh’s and aah’s. By the way, should you come across some passion fruit curd, grab it and make these, it is a sublime combination. 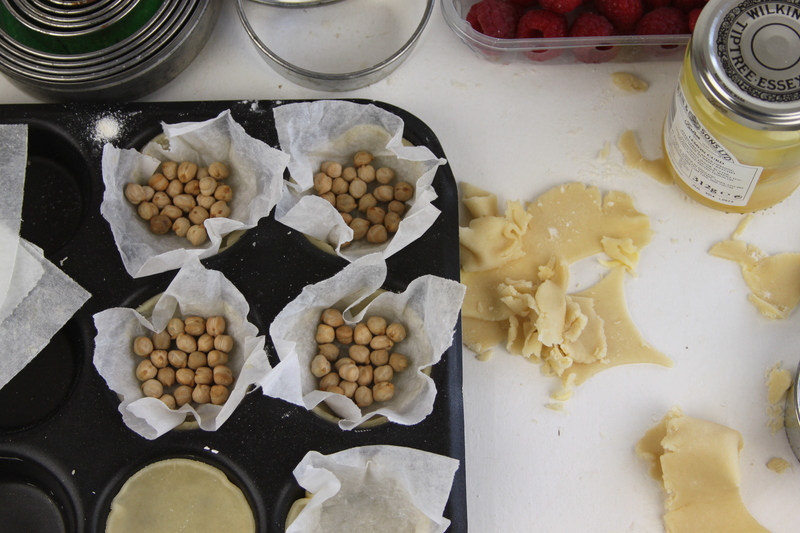 Because this was a case of using up leftovers my recipe is annoyingly unspecific – what I used was half a pack of sweet pastry which I rolled and cut out, baked blind for 10 minutes at 180 and then for a further 5 minutes without the baking beans. I mixed half a jar of lemon curd with half a tub of marscapone, put a blob in each cooled pastry shell and topped with raspberries. This recipe is entered One Ingredient June 2013 hosted by Franglais Kitchen and How to Cook Good Food and Simple and in Season hosted by Ren Behan. My daughter spends much of her time dressed as an evacuee. You know, shorts, tank top, luggage label, that sort of thing – her fascination with all things to do with WW2 knows no bounds and she is often keen for me to cook accordingly. Woolton Pie, Murkey (mock turkey for Christmas) have all been requested but met, I must admit, with a little reluctance by me. These biscuits however, get the full thumbs up or should that be V for victory. I’m sure you know the reason for the name, Australian and New Zealand Army Corp biscuits, made without egg so they wouldn’t go off too quickly when sent to the soldiers at the front. Originally from WW1 I know but let’s not be picky. 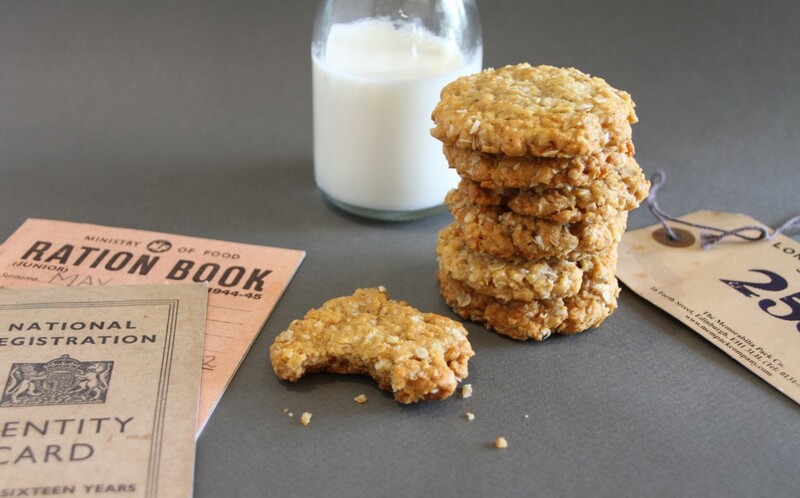 The main ingredients being oats allow me to put these into the category of healthy treat. I have also pared down the sugar as much as possible – yes, yes I know a biscuit is by its very nature sweet but I like to keep these things to a minimum where possible so you can enjoy them without guilt, ie have two. Preheat the oven to 180/160 fan and line a baking sheet with parchment. Mix the flour, coconut, oats and salt in a large bowl. In a small pan melt the butter, golden syrup and brown sugar. It is easiest to dip your tablespoon into hot water so the syrup slides off. Mix the bicarb with the boiling water and then add to the pan, it will whoosh up a bit, give it a stir and then add to the bowl with the dry ingredients. Drop tablespoonfuls of mixture onto the baking sheets and put in the oven for 10-15 minutes, check after 10 they are done when a dark gold colour. Cool for a minute or two before transferring to a rack. This will make about 30 biscuits. I don’t mean all at once obviously, but if you think about it, each year we have to think of more or less 365 things to eat and that is just for supper. Start adding lunches and children’s teas and the number becomes enormous. No wonder many of us resort to the same old favourites evening after evening. Nothing wrong with that at all, indeed I look forward to something tried and tested which I know will please tummy and soul – like seeing an old friend, no disappointing surprises and a good evening all round. That said though, I do try new things, feel almost compelled to. Whether to justify the library of cookbooks, magazines and cuttings I have or inspired by something I have seen in the farm shop, I try to extend my repertoire by at least one new thing a week. So continuing on my quest for straightforward, delicious everyday things to eat that won’t take hours to make or cost a fortune and are both easy and appealing (hopefully) for all the family, what about chorizo and chickpea stew. I hope it might make your list of regulars and here is why. Using mainly storecupboard ingredients which are transformed into a rich, spicy comforting dish with very little effort on your part. 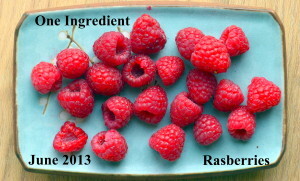 A bit of chopping, open a couple of cans and then let the stovetop perform a little alchemy. What a treat. I have been cooking this for many many years. Of course, as is my wont I have tinkered with the recipe from time to time but this is my favourite version. It is an easy and delicious supper (or lunch) and one that when I serve it, my daughter eyes the pot anxiously for seconds. It is equally at home as a winter warmer or a sprightly spiced supper for cooler summer evenings. Whatever the weather, whichever month you are in, please give it a go, I have never known it not please. Cut the chorizo into rounds and fry gently in a medium size pan until it renders its oil in which you now fry the onion until soft. 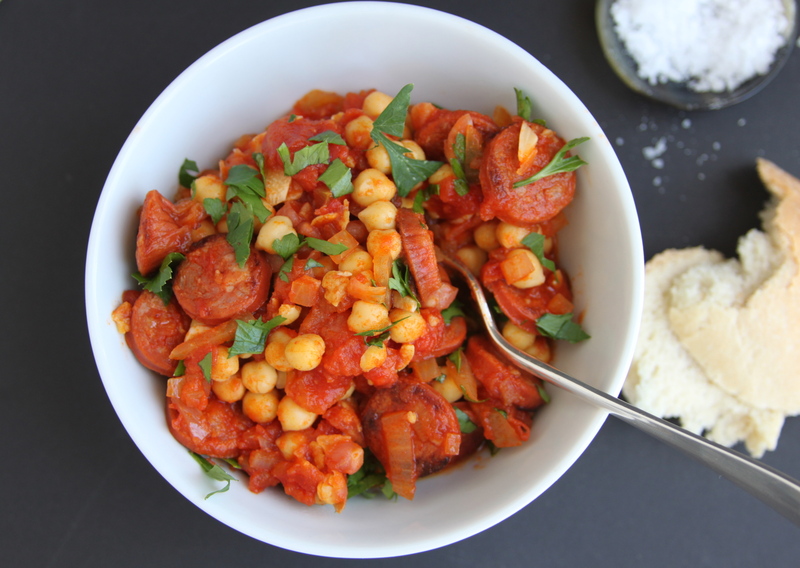 Add the garlic and paprika, stir for a minute or two and then add the tomatoes, chickpeas and wine or sherry. Lower the heat and simmer for 20 minutes. 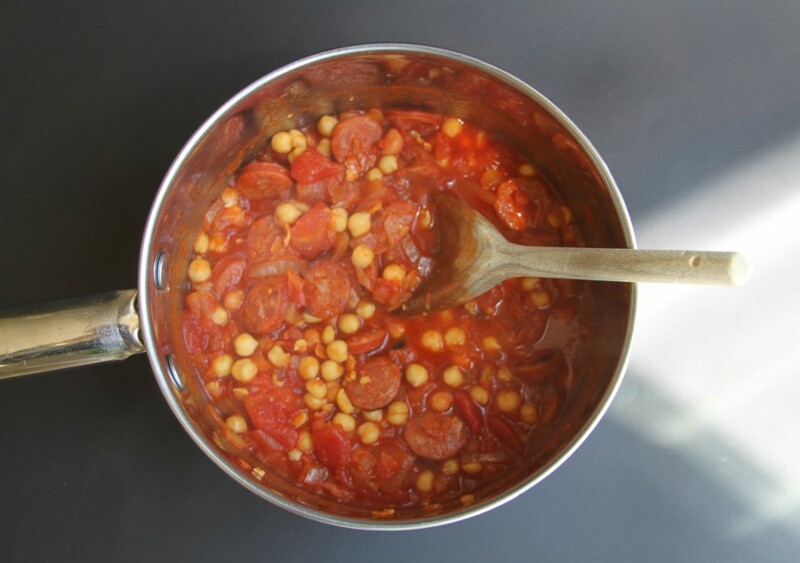 You can serve this is as it is or if you like a slightly thicker sauce, squidge some of the chickpeas against the side of the casserole until they fall apart. Season well with salt, give it another stir and then sprinkle over the parsley. This doesn’t really need anything with it but a sliced crusty baguette works a treat as does a simple green salad. Serves 2 but easily doubled.